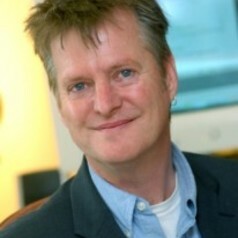 Professor Steve Strand joined the University of Oxford, Department of Education as Professor of Education in January 2013. Previously he was Professor of Education at the University of Warwick (2009-2012) and before that Associate Professor (Reader) in Quantitative Research Methods (2005-2008) also at Warwick. Prior to that (1998-2005) he was Senior Assessment Consultant and Head of Research and Data Analysis at nferNelson, the UK’s leading educational test and assessment publisher, and one of the authors of the Cognitive Abilities Test (CAT). Before that he was Head of Research and Evaluation at Wandsworth Local Education Authority (1990-1998) and Head of Assessment and Evaluation at Croydon LEA(1988-1990) and in these roles was responsible for pioneering work on ‘value added’ analyses of school performance. He holds a First Class BA (1982) and PhD (1989) in Psychology. Steve has worked extensively with Government departments, Local Authorities and individual schools on the analysis of pupil attainment, school effectiveness and differential pupil progress. His research focuses on equity gaps – particularly in relation to ethnicity, social class and gender – in a wide range of educational outcomes (educational achievement, progress, attendance, exclusion, SEN) at all stages of statutory schooling and beyond. He is also interested in school effectiveness, not only in relation to the progress of different ethnic and social groups, but also on the impact of pupil mobility, English language fluency, out-of-hours learning and a range of similar factors. His expertise lie in the analysis of large and complex longitudinal datasets, such as the National Pupil Database (NPD) and the Longitudinal Study of Young People in England (LSYPE).